Your private driver will keep all your belongings secure while you shop or he can help you bargain and translate if needed. This is the safest way to see all Cancun has to offer! 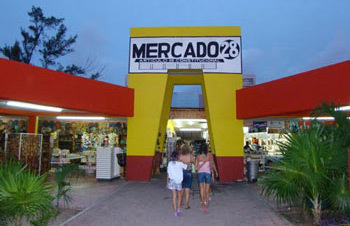 Read our Cancun Guide to Cancun’s Shopping Malls & Markets. Let your driver know which markets you would like to visit: Market 28, Market 23, Tulum Av., Plaza La Isla, Plaza Las Americas and many more!